BEAUTY AND THE BEAST brings the story and characters audiences know and love to live in a stunning, cinematic event, is directed by Bill Condon and features an extraordinary ensemble cast which includes Emma Watson, Dan Stevens, Luke Evans, Kevin Kline, Josh Gad, Ewan McGregor, Stanley Tucci, Gugu Mbatha-Raw, Audra McDonald, Ian McKellen and Emma Thompson. 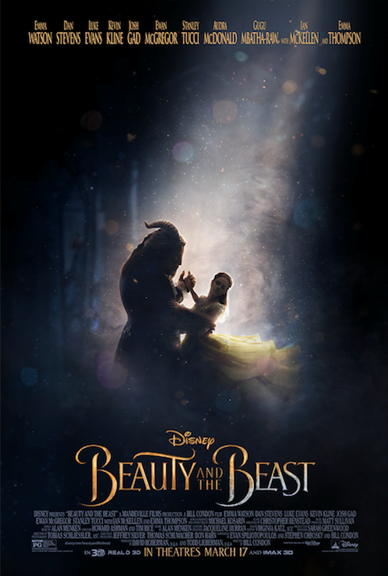 BEAUTY AND THE BEAST will be released in theaters nationwide on March 17, 2017. We are excited about this movie, as a little girl I've always loved belle in her beautiful yellow golden dress, emma watson is perfect as belle.